Have you heard the good news? Thanks to you, we've been named Best Veterinary Clinic in San Diego by Ranch & Coast Magazine for the eighth year in a row! Celebrating 12 Years AAHA Accreditation! 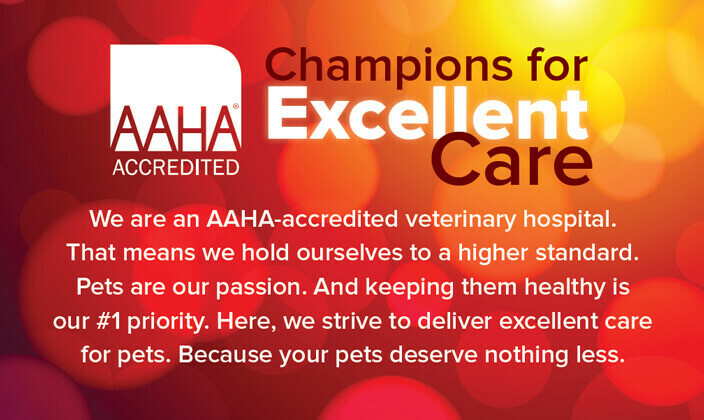 Only 12-15% of veterinary practices pass the 900 point inspection to become AAHA certified. Read more to find out what that means for the care that your pets receive at The Drake Center. No pet should miss a visit to the vet simply because they are afraid. That's why we are committed to providing a fear free atmosphere at The Drake Center. Western, Eastern, Holistic, and Integrative Medicine: What's the Difference? At The Drake Center, we primarily use traditional Western medicine to treat our patients. However, we welcome the practices of other schools of thought. At The Drake Center for Veterinary Care, we believe that pets are part of the family—yours and ours. And family deserves the very best care. For over 20 years, we have been providing high-quality, compassionate pet care to families in North San Diego County. Our experienced doctors and staff treat each patient as their own and each client as a friend. We combine sound medical expertise, exceptional client service and a deep passion for animals to create a veterinary care experience that is truly one of a kind. —Brittney C. & Brian N.
—Jane S. & Shari B.